The standard of vehicles for municipal vehicle hire is incredibly important due to the highly populated areas that the vehicles will service. This is why Go Plant Fleet Services strive to give you the highest quality service, with vehicles which are regularly maintained to keep them functioning at an optimum level. 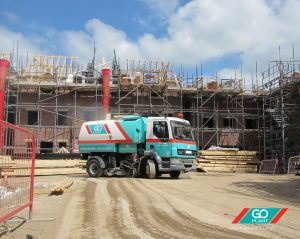 We regularly work with local authorities throughout the country and have become renowned for our hire services. Our Municipal vehicle hire range is vast and we can provide vehicles to suit most purposes and projects. Our sweepers and pedestrian sweepers are often used in shopping areas or pedestrian zones to keep roads clear, whilst being small enough to fit into restricted spaces. In addition to this our refuse collection vehicles are an incredibly popular option for municipal vehicle hire. Refuse collection and recycling services are an integral part of local authority’s duties and so we supply a range of refuse collection vehicles to suit this ever present need. Our range includes both refuse collection vehicles, recycling vehicles and combined units. Our municipal vehicle hire doesn’t stop here though! We also supply services for street cleansing and gully emptiers. Our municipal vehicle hire is available with both short and long term hire options and so they are perfectly suited for both one off projects and long term maintenance contracts. We offer our sweepers and specialist vehicles with self drive and operated options, dependant on your needs and requirements. Our operators are highly skilled and qualified, and so you can rest assured that all safety measures and procedures will be adhered to. Our municipal vehicle hire also comes with 24/7 fleet support to ensure that should you encounter any problems, this will be solved quickly and efficiently. If you would like any further information about municipal vehicle hire, then please get in touch! Our expert team can advise you on which of our fleet is best suited to your needs.